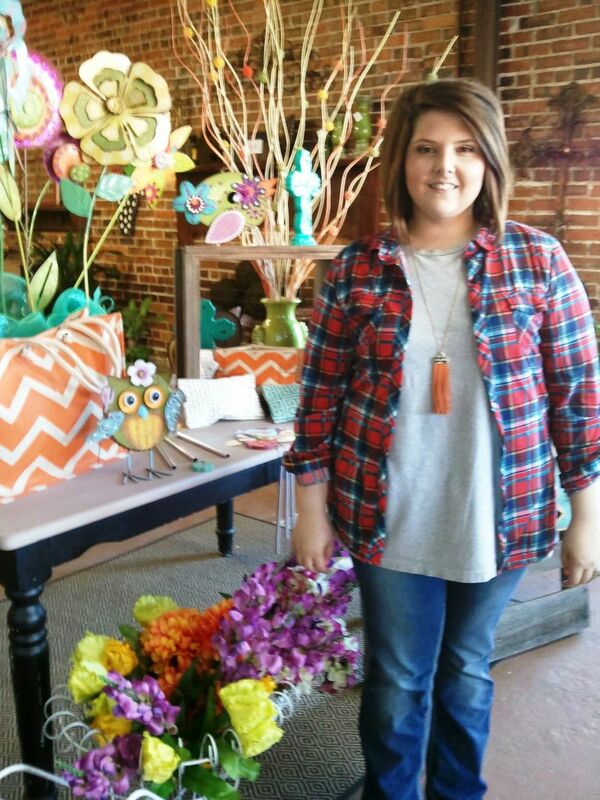 Mallory McCain of Teacups and Tuplips in downtown Eupora said she loves her work for many reasons. McCain’s passion for flowers developed in college, but has been nurtured through family over the years. She took basic floral design as an elective at Mississippi State University. Her college roommate also was taking the class and she enjoyed it so much, she didn’t even mind the class meeting at 8 a.m. She wanted to learn more. She signed up to take permanent botanicals and flower shop management the next semester and knew that’s what she wanted to do. McCain said all of her instructors were great and made each class a lot of fun. She did a semester internship at Flowers by the Bunch in Starkville where she learned the business side of a flower shop. After working there three and a half years, she knew this was her calling. McCain said she decided to open Teacups and Tulips a little over a year ago because she wanted to share her love for flowers. McCain’s family is originally from Eupora. Her parents moved to Starkville when they were first married and she grew up there. She wanted to come back to Eupora to open her shop because she likes the feel of a smaller town. And she has a little personal history with the building where Teacups & Tulips is located in downtown Eupora –her grandparents, Lowell and Louise Gibson, actually met in the flower shop building. Her grandfather had just returned from the Air Force and her grandmother was a waitress there, making the place a little special. Her grandmother, Jeanie McCain has also worked at numerous flower shops and gift stores in Webster County. McCain said her grandmother’s love of flowers has had a big influence on her. Last weekend, McCain married Kacey Skelton of Bellefontaine. Her parents are Rodney and Gay McCain of Starkville, but they are originally from Tomnolan. She has one brother, Brent McCain. She is a member of Tomnolan Baptist Church and the Eupora 20th Century Club. For more information about Teacups and Tulips, find them on Facebook or at the storefront location 83 N. Dunn Street, in downtown Eupora. Give them a call at (662) 258-2005.